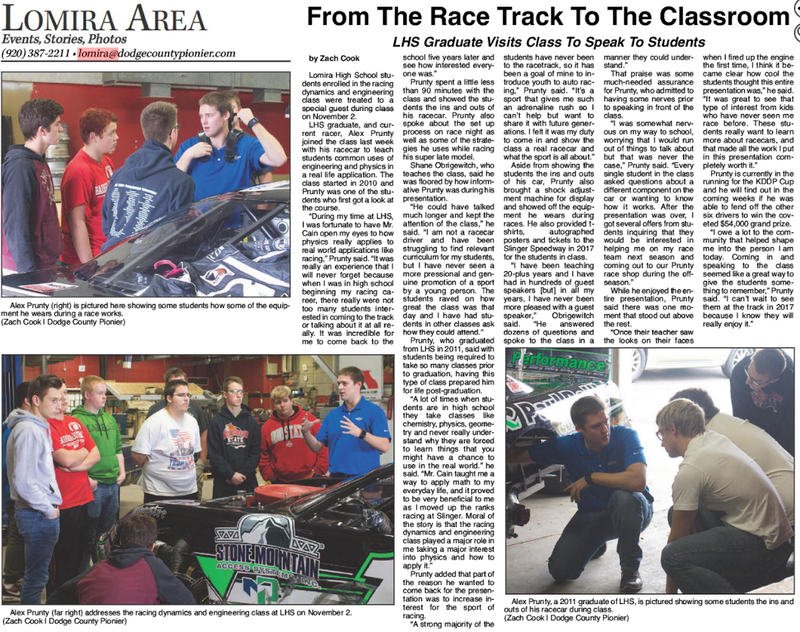 Alex Prunty Racing: Look for Alex in Today's Dodge County Pionier! Here is the newspaper article from the Dodge County Pionier about our visit to LHS last week! It's a great read, check it out! Newspaper is available in the area today! Thanks to Zach Cook for the great write up!